This video shows a recent installation of a complete carrot washing and grading line from Tong Engineering, at Polish fruit and vegetable producer, Polfarm. 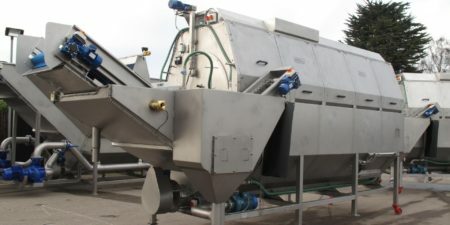 The custom built stainless steel carrot washing, grading and processing line incorporates some of the largest washing and cooling equipment manufactured by Tong Engineering, including a 12.5 metre long, 15000kg capacity wet hopper which offers effective presoaking of carrots prior to washing. 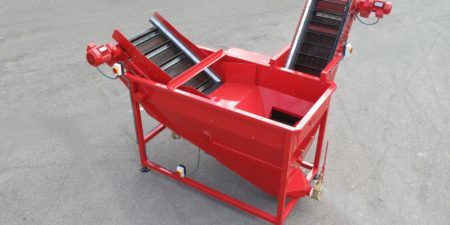 At the infeed of the new carrot line, a high capacity Tong Storemaker hopper-cleaning system with Tong’s market leading EasyClean separator, offers bulk unloading of the company’s carrot crop, and effective removal of soil and haulm from carrots prior to the washing process. The carrot washing line begins with a 40 ton per hour cyclone destoner followed by the large presoak tank which feeds two 5m long stainless steel barrel washers, four polishers and a large Hydro-Cooler which cools crop for increased longevity and shelf-life. 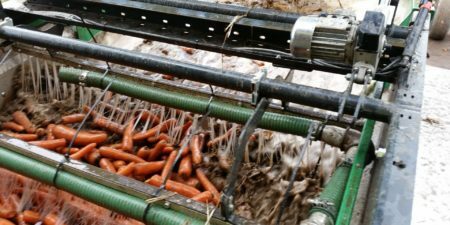 Carrots are graded by diameter by a series of Tong’s lift roller graders, and also by length with a number of vibrating length graders, before they are transferred for packing. 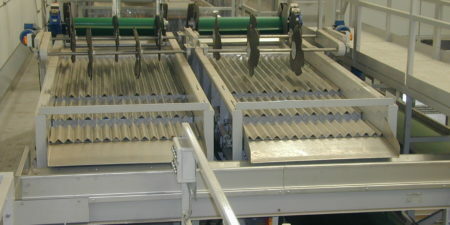 Fore more details of this carrot washing and grading system view our case study.